We’ve been away and I have been keeping of the internet to a degree (it always catches up with you though) so I have drawings and things all backed up and out of sequence. This still works thought, the assembly is automatic from my bookmarking and music listening so it just takes a bit of finessing and it’s ready to go. This is working for me now in a way that Tumblr used to. 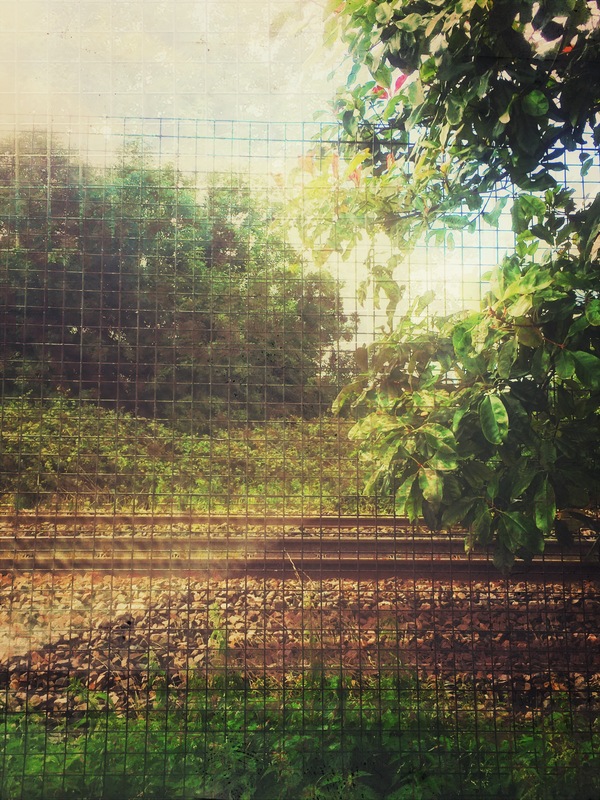 The image is of the railway line at Collumpton Services where we stopped on the way back from Cornwall. Be warned there’s a lot of politics this time but it’s been difficult to avoid. Jello addresses how to properly resist the Neo-Nazi movement. Laurie Anderson on what might happen. So, this happened two weeks ago. < Book review: “Rabbit, Run” by John Updike.